I was reflecting recently about how many affairs happen between people who work closely together. The boss has an affair with his long-time female assistant. The female newscaster has an affair with the male newscaster who works in the same studio every day. The pastor has an affair with his long-time secretary. I realized something profound. These people ended up having an affair because a super strong emotional bond was created as they worked together as a team over many years. Thought for you: How can you take this knowledge of the “power of team” and use it to foster an even deeper bond between you and your husband? Can you intentionally begin working together on some common projects or goals? 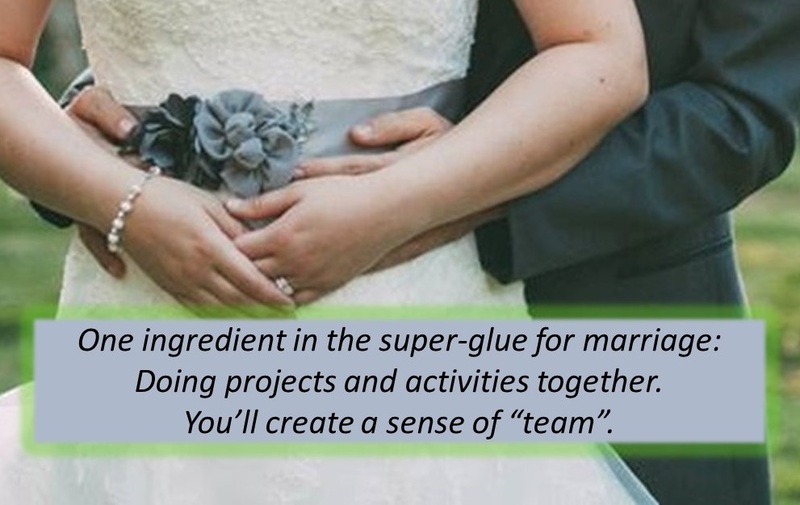 Think about it…because the “power of team” can create a super strong glue for your marriage.